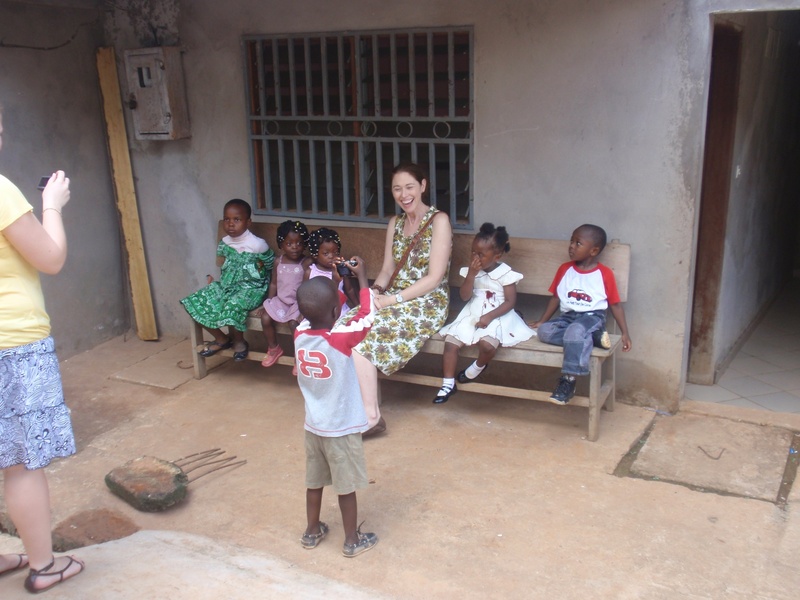 Multilingual Matters author Allyson Jule shares her experiences of visiting Cameroon to talk about her research on gender roles. I had been to Cameroon before – about twenty years ago. I married a man whose Canadian parents raised him in Cameroon’s Northwest Province. When I first saw Africa as a young woman, it was to see the place my husband calls home. It was exotic and thrilling but ultimately remote from my own life. However, last year an opportunity arose for me to lead a travel study for ten of my university students to Cameroon. When I told my husband, he jumped at the chance to join me – and he did, along with our children. I had come across the University of Buea when researching gender roles in Africa more generally. As a feminist scholar, I was happy to discover a rich community of scholars housed at the University of Buea (UB) who were writing about gender issues in Africa. After I read a collection of articles compiled by scholars at UB, I tucked away the idea of visiting the campus one day. The university was originally established in 1977 as a college for language translation. By 1993, UB had transformed into a fully-fledged university with the Women and Gender Studies department a part of this re-organization. Now with a student population of 14,000 students, the University of Buea is a vibrant centre of innovative scholarship in central Africa, and its Women and Gender Studies programme is a prime example of this. The department offers three degrees: a B.Sc. Double Major, a M.Sc. and a Ph.D. The courses on offer display a rich diversity of topics, ranging from feminist theory to women in agriculture and rural development. Before setting off on the trip, I studied the university’s website and found faculty research in journals acquired through my own university library. In particular, I came across the work of UB’s Head of Women and Gender Studies and UB’s Director of Academic Affairs, Professor Joyce Endeley, as well as that of her colleague Nalova Lyonga, one of UB’s Deputy vice Chancellors. I contacted Professor Joyce Endeley telling her of my upcoming travel plans and asking if we could meet. It was arranged that I would visit the campus for two days and give two lectures – one to undergraduates and one to graduate students and faculty. When the day arrived, my husband and children piled into a borrowed jeep and drove me from Limbe to the town of Buea. A bright well-manicured campus of big beautiful trees and flowering bushes stands out on the hill above Buea town and it is within sight of Mount Cameroon, Central Africa’s highest peak. 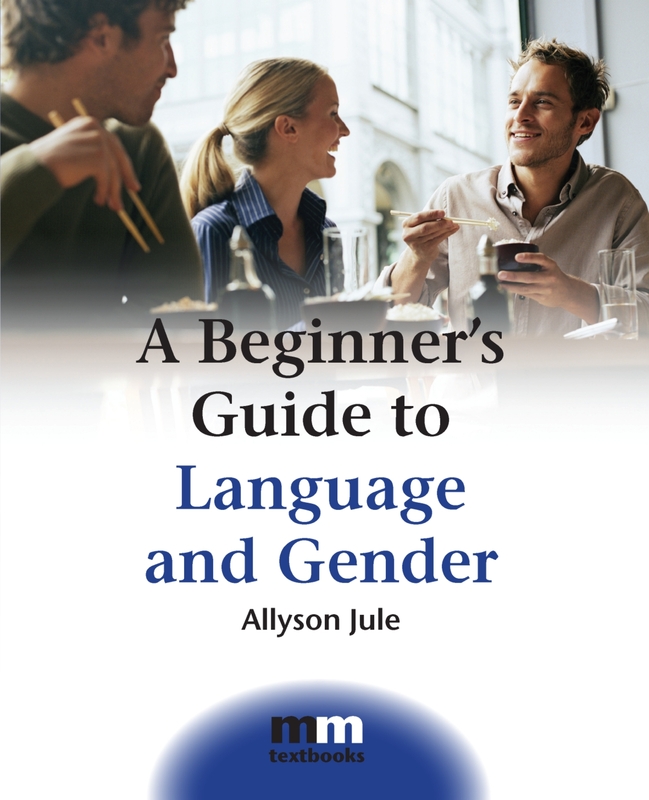 Much of what I shared came from my book, A Beginner’s Guide to Language and Gender, which I wrote in 2008. My ideas on gendered use of linguistic space caused the most discussion and I was thrilled to have such deep conversations with African scholars who had varying contexts of their own upon which to draw. My idea that teachers in classrooms ‘gender’ the space by engaging more with their male students was quite-rightly challenged as context specific and reliant on cultural norms. Also, surely the variety of teaching methods would alter this pattern. 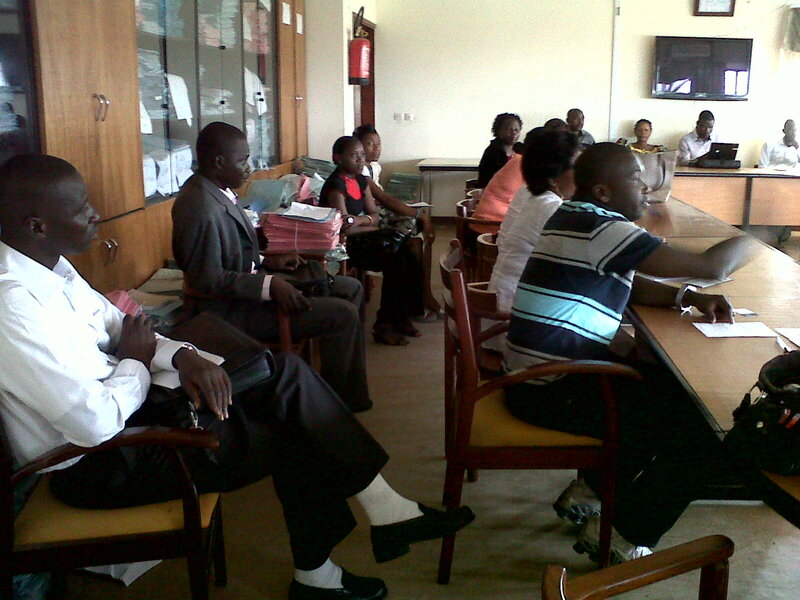 Perhaps explorations could be done in African contexts concerning gender in classrooms. I was thrilled with the connection and felt like I had met new friends and that more contact would be very possible. Academics meet up quite regularly for conferences in many countries around the world and I am no exception. I’ve enjoyed plenty of discussions on the issue of gender in the classroom with a variety of scholars around the world, but I have had never had opportunity for such discussions with African scholars. The professors and students at the University of Buea made me feel so very welcome. I was thrilled with the two day visit. When my husband and children came to collect me at the end of the second day, Prof. Endeley and her colleagues were there to see me off – with hugs! Certainly, a highlight of my trip to Cameroon was meeting the students and faculty at the University of Buea. That thirty of them requested copies of my book was also deeply touching, and that Multilingual Matters have now donated these books to the university solidified a sense of relationship across the globe. Cameroon struggles with poverty and a weak infrastructure; I understand this. But spending time with Cameroonians made such realities evaporate. We are all connected and not so far apart. For me, twenty years after first visiting Cameroon, I feel a growing sense of home. What had once felt like an exotic place, too foreign to connect with, had blossomed into a real place, filled with warm, generous, and friendly people. For additional information on the University of Buea, see http://ubuea.net/. For more information about Allyson and her research please see her website www.allysonjule.com.